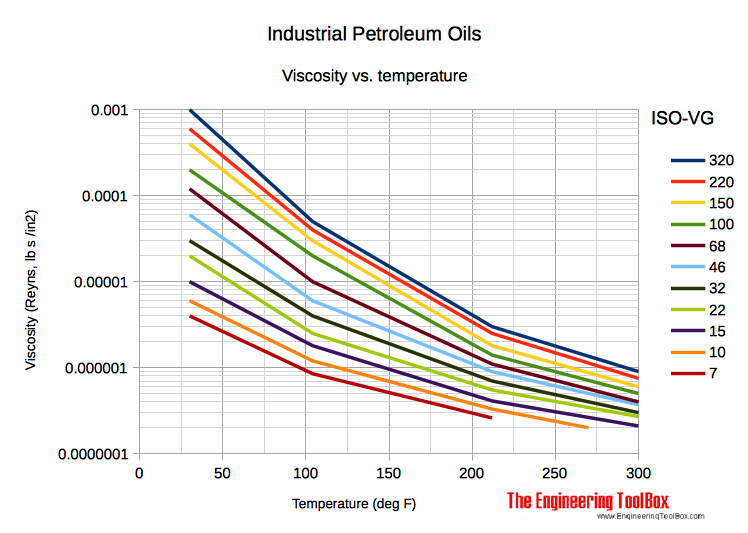 The diagram below indicates the minimum and maximum viscosities in centistokes for equivalent ISO-VG grades at temperature 40oC. Engineering ToolBox, (2008). Industrial Lubricants - Viscosities equivalent ISO-VG Grade. 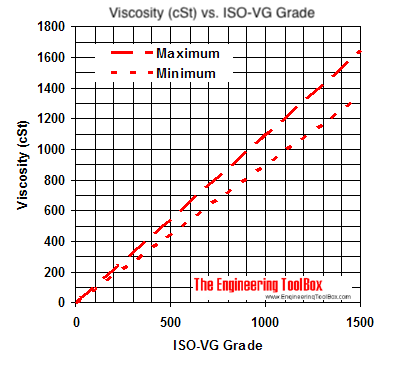 [online] Available at: https://www.engineeringtoolbox.com/iso-vg-grade-d_1206.html [Accessed Day Mo. Year].